Apple has just dropped the biggest news for budding writers in years. 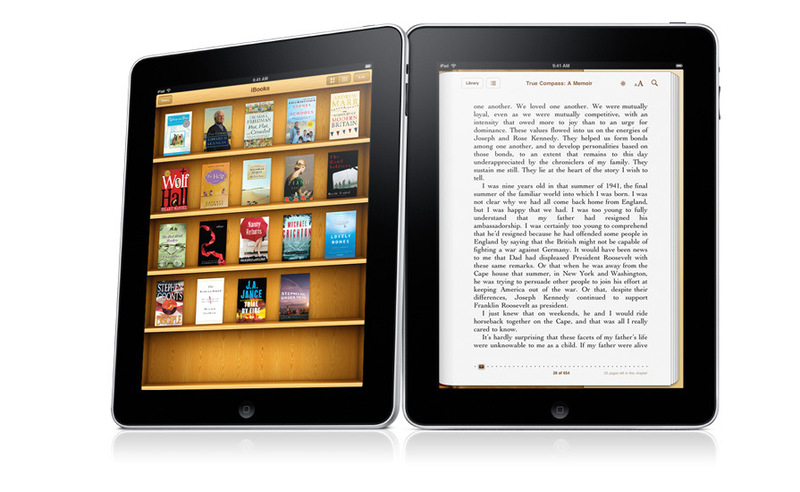 MacLife reported early this morning that Apple, in a move that looks to completely transform how we think about the book industry, has revealed a system that allows writers to self-publish their work on the iBookstore. This move comes shortly after Barnes & Noble announced the summer launch of, PubIt!, their own self-publishing feature. In the same way that iTunes enabled musicians to sell their own music, aspiring authors can soon sell digital copies of their books through Apple’s service without needing to go through a publisher. Anyone interested will now be able to sign up on Apple’s website after satisfying a few straightforward requirements. In order to distribute content on the iBookstore, writers must have Mac OS X 10.5 and Quicktime 7.0.3 or later for encoding and uploading content to Apple. Self-publishers will need to format their book in a ePub format and have it validate with ePubCheck 1.0.5 for full compatibility. There are a number of different ways to convert documents to ePub format, many of which are free. While the iBookstore is currently only available on the iPad, it’s also heading to the iPhone with the upcoming v4.0 update. Writers wanting to publish a book must also have a 13-digit International Standard Book Number (ISBN) for each work, a valid US Tax ID number, and an iTunes Store account with a credit card on file. None of these requirements are particularly time-consuming or challenging for motivated writers, which means that anyone willing to put in the effort and time can publish and sell their own works. It is important to note that this comes less than a week after Barnes & Noble announced its digital self-publishing and distribution platform, PubIt!, available this summer. All jokes aside regarding its oh so classy name, PubIt! will offer writers a chance to self-publish their work in conjunction with the world’s largest bookseller. 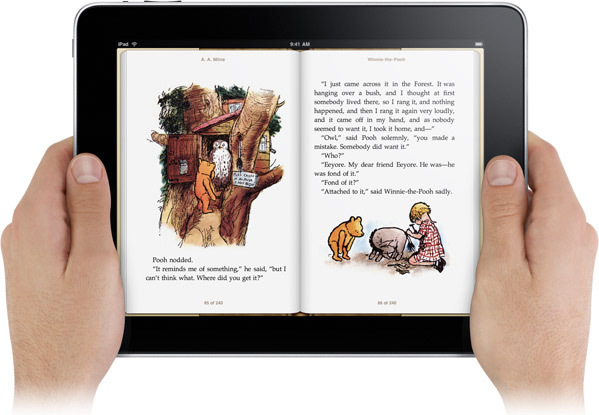 Unlike Apple’s iBookstore, eBooks published with PubIt! will be available on other devices besides the Nook, including computers, the iPad, iPhone, Blackberry, and Palm. This is appealing to many writers, since it will mean that their work will be available to a larger audience than just iPad and iPhone users. This move by Apple and Barnes & Noble is both incredibly exciting as well as disheartening. It is great for aspiring authors like myself in the short run, who will now be able to assure that their books, short stories, poems, etc, will be published and available for purchase. It will also likely prompt a huge underground and independent literary movement, like what has happened in the music industry in the last decade, as more and more undiscovered authors find channels to distribute their work other than the few mainstream publishing companies. Finally, this should make it easier for writers to direct earnings for their works by eliminating the greedy middlemen that are the publishing companies. While it’s assumed that Apple will take some percentage of sales profits, it will likely be significantly less than a publishing company would in order to keep prospective writers interested in using the iBookstore publishing platform. However, there will most definitely be serious repercussions for this. Just like in the music industry, the more independent books become available the lower the prices on those books drop, making it even harder for writers in an already hard pressed industry to make a living through their art. The number of illegally downloaded books will also likely rise, which will not only affect independent authors, but mainstream authors since their bestsellers may be available online for free instead of a standard $15 to $25 price. While authors like J.K. Rowling, Stephen King, and Stephenie Meyer can afford to take a financial hit, this will be devastating for most other writers who already have enough trouble with getting consumers to buy their books. Unfortunately, though, this is the direction the book industry has been heading towards ever since Amazon released the Kindle and bookstores like Barnes & Noble and Borders followed suit. Apple’s announcement today is a double-edged sword for writers, who should think about new ways to convince book lovers to spending money on their books if they plan on making a living out of their writing.